Currently, most dentists today detect tooth decay using three methods: By performing a visual inspection, taking an x-ray and using an explorer pick to check trouble spots. But none of these methods work well to detect small, early lesions, particularly those in-between teeth. Now, with The Canary System, Dr. Kevin Sorge can detect and even heal early dental cavities before an actual filling is needed. The Canary System can detect decay on smooth enamel, root surfaces, biting surfaces, in between teeth and around existing fillings. It is a pain-free, safe and comfortable early detection system built on years of thorough research. Once early decay is found, the Canary System allows Dr. Sorge to begin a re-mineralization program to heal these areas with minimal intervention. For patients, it means a safe, easy dental appointment. 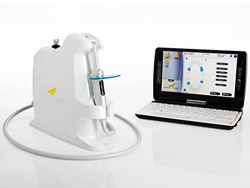 Using a low-powered, pulsating laser light, The Canary System scans and maps the teeth. The connected computer screen shows vividly any area where caries (fancy name for cavities) may be present and indicates how advanced the defect might be—accurately and consistently. The higher the Canary Number, the more advanced the decay. If tooth decay is detected early, before a substantial amount of the tooth is destroyed, the area can be remineralized by using fluorides and other safe and effective agents. We can also monitor the effectiveness of the various treatments. 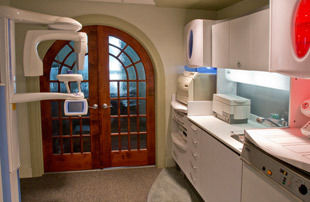 At Kevin Sorge, DDS, we are committed to taking a proactive approach to your dental care and comfort. By the time tooth decay is visible, the damage has penetrated 60% of the dentin and requires a restoration or filling. The Canary System allows us to provide early detection of even the smallest cavities so that you can prevent this decay from causing more troublesome problems in the future. Find out more about The Canary System and how it detects early dental decay. Watch the video presented by Dr. Stephen Abrams and Dr. Andreas Mandelis—the brainchild of this technology. The Canary System has been featured in over 40 published research papers and abstracts in peer-reviewed dental and clinical journals. The treatment is FDA cleared and proven effective over ten years of study and two clinical trials. Give your teeth the attention they need today.